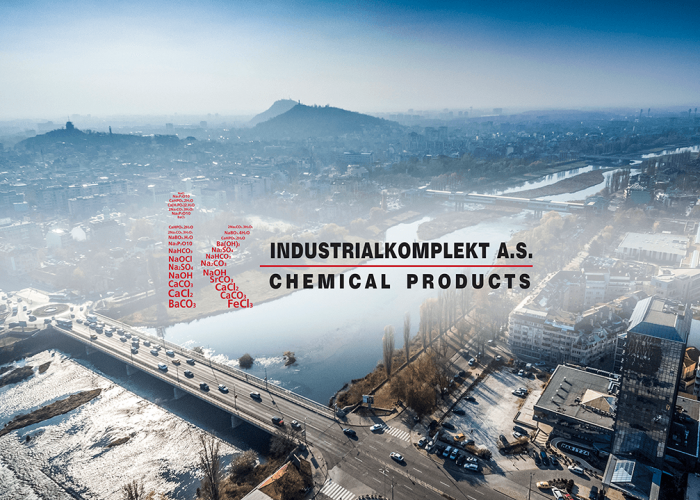 “Industrialkomplekt” AS is a trade company operating in the field of distribution of industrial chemical products and food ingredients. 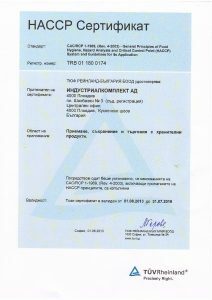 It is one of the leaders in Bulgaria. 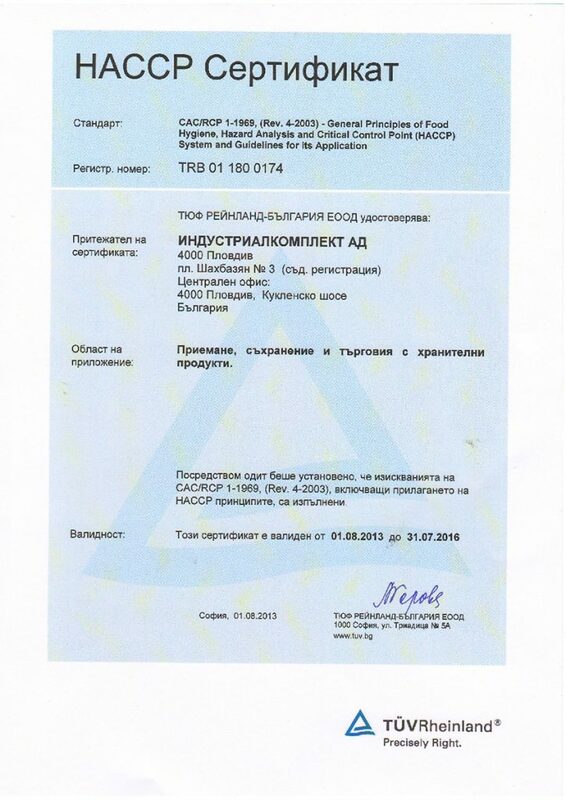 In 1997, due to reliability and quality orientation in the market “Industrialkomplekt” AS was approved to become a partner of SOLVAY CHEMICALS and since then it is a distributor of SOLVAY’s chemical products for Bulgaria ( Sodium Bicarbonate, Soda ash, Caustic Soda, etc. ) . 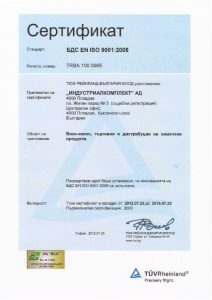 Besides SOLVAY, “Industrialkomplekt” AS is representative of some others companies : ESCO (Germany), Kuchuksulphate (Russia), Oltchim (Romania), Chimcomplex (Romania), Decaphos (Bulgaria), JAR (Poland), Armor proteins (France), SOFIVO (France). 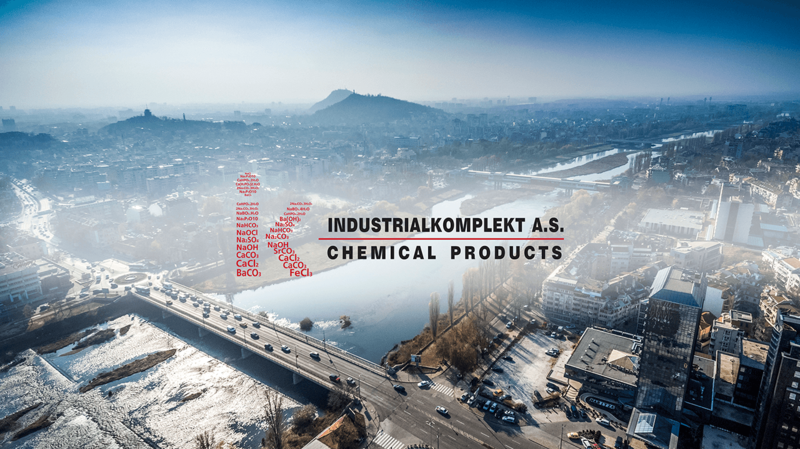 “Industrialkomplekt” A.S has three warehouses in Bulgaria for distribution of industrial chemicals: in Devnya ( near to Bulgarian port Varna ) , Plovdiv ( central of South Bulgaria ) and Rousse ( main port on Danube river ).The warehouses are equipped with modern facilities in accordance to the EU directives. 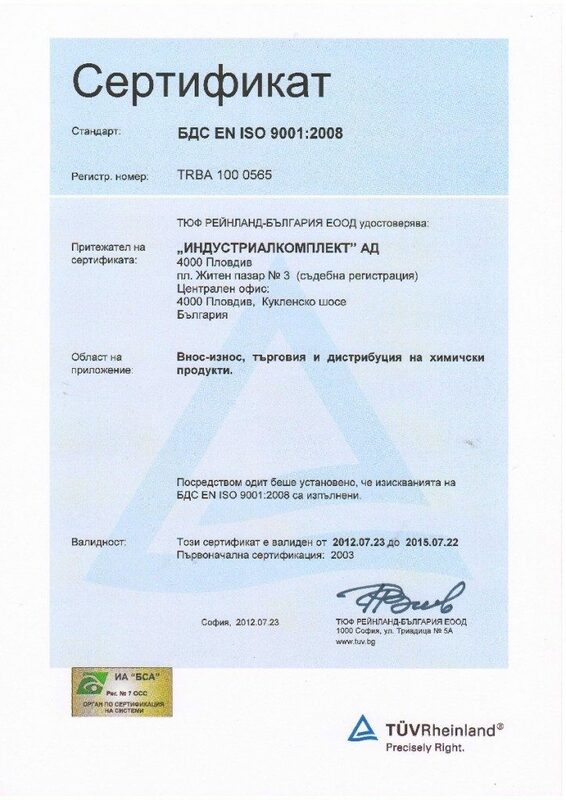 “ Industrialkomplekt “ A.S has Certificate ISO 9001 : 2000 and HACCP 2002. Your proven partner in the world of chemical products!